Well-known leaker Ice Universe has shed light on Sony’s rumoured upcoming smartphone, the Xperia XZ4. The leak, which is originally sourced from China-based social media platform Weibo, suggests that the phone will sport a 6.55-inch LG display with a 21:9 aspect ratio. Additionally, the handset is rumoured to feature 6GB of RAM, up to 256GB of storage and Qualcomm’s Snapdragon 855 processor. Further, the phone is tipped to include a 3,900mAh battery, as well as rear-facing triple camera setup and a front-facing wide-angle camera. Surprisingly, the phone will also reportedly still feature a 3.5mm headphone jack as well. Recently, leaker OnLeaks, alongside MySmartPrice, shared CAD renderings of the smartphone based on alleged factory designs. However, the rumour mill never stops turning. 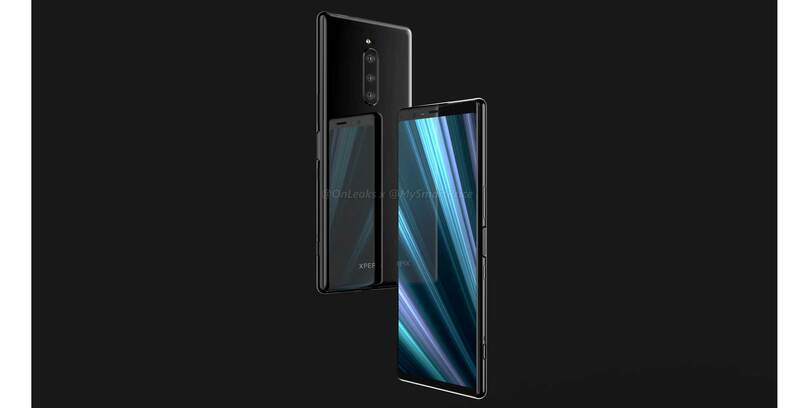 Not only was the tall XZ4 leaked, but renders of the XZ4 Compact have also appeared as well. OnLeaks, with the help of ‘CompareRaja,’ have revealed CAD renderings of the 5-inch XZ4 Compact. The phone will also continue to feature a 3.5mm headphone jack, as well as only a single camera on the front and rear. That said, not much else is known about the phone beyond that fact that it will also sport a Snapdragon 855 processor like it’s larger counterpart. It’s unclear when Sony will unveil either device, though with the company showing off the XZ2 and XZ2 Compact in February of 2018, it’s likely the XZ4 will also make an appearance at Mobile World Congress 2019.